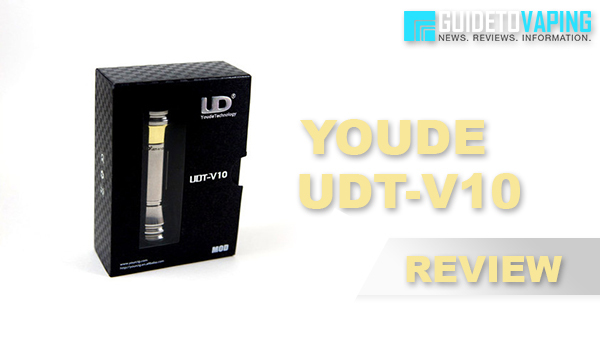 In this post today, I’ll review the UDT-V10 Mechanical Mod by Youde. I will be covering its appearance and features, as well as the performance received from the V10 Mod. This mod was sent in for a review by Vapor Authority, a company highly known for its large stock of authentic mods. 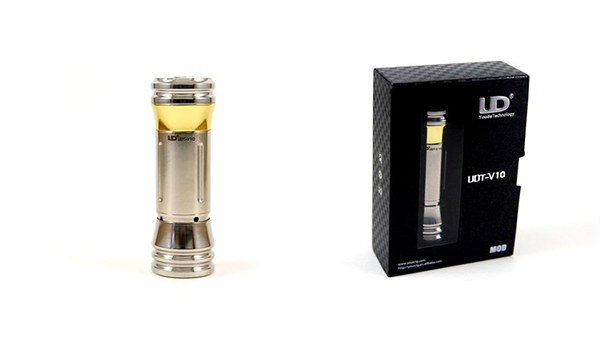 The UDT-V10, by Youde, is a very sleek and elegant looking mech mod. It has a polished stainless steel finish with a brass accent ring below the top cap. It has the look of a decorative pillar that reminds you of the Greek Pillars. 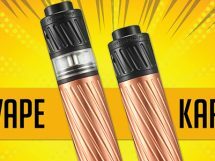 It has a flared out bottom button that tapers into a slender body that again tapers out to a widened top cap. Top cap has nice airflow channels for those tanks that get their airflow from the 510 connection. The overall feel of the mod is nice. The flared out bottom firing switch coupled with the flared out top cap make this mech mod very nice to hold onto and to vape. 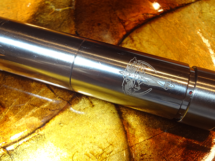 The UDT-V10 by Youde is an 18350 mech mod. It stans about 2 1/2in in height with the switch locked, and about 2 1/4in in height with the switch unlocked. The width at both the top cap and the firing switch appear to be about 23-24mm in diameter. But the top cap tapers down to a 22mm diameter giving every atty that i have screwed onto look flush. To lock the device you spin the whole switch counter clock wise. This also tends to remove the switch at the same time. So you have to be careful. The switch is a standard spring switch, with what looks like a silver plated copper contact. When the switch is locked, the firing button is tight, but when the switch is unlocked, the switch wobbles quite a bit. 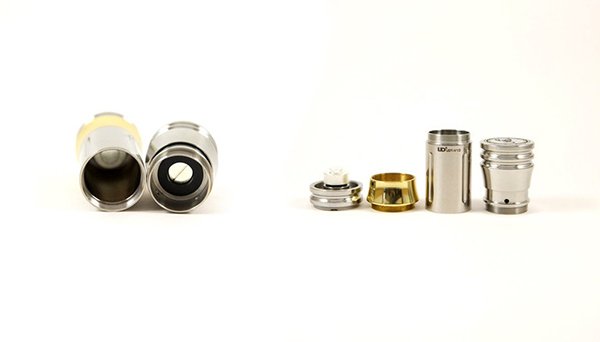 The top cap has an adjustable 510 center pin, which allows you to adjust for any length 510 connection and a flush fit. Within the adjustable 510, there is a smaller screw that allow for battery rattle adjustments. Both the 510 center pin and the battery rattle screw appear to be silver plated copper as well. I was very surprised at the performance and the vape quality with this mech. Before I measured for voltage drop, I thought it was going to be around the .8-1 volt voltage drop. But after testing the voltage drop with a 1.5 ohm coil, the voltage drop was only .6 volts. With how wonky the switch was, I thought there was going to be more of a voltage drop than there was. The vape quality was very pleasant. 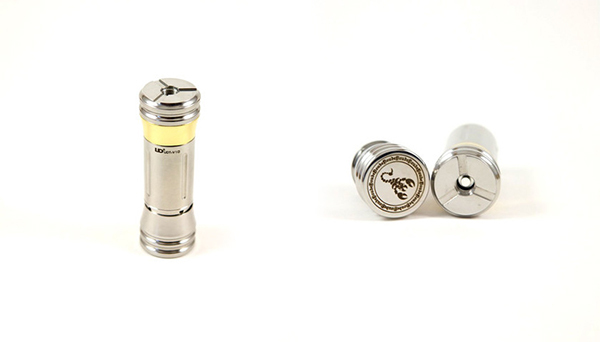 With it being an 18350 mech and a 1.5 ohm coil, the vapor production is very dense and flavorful.